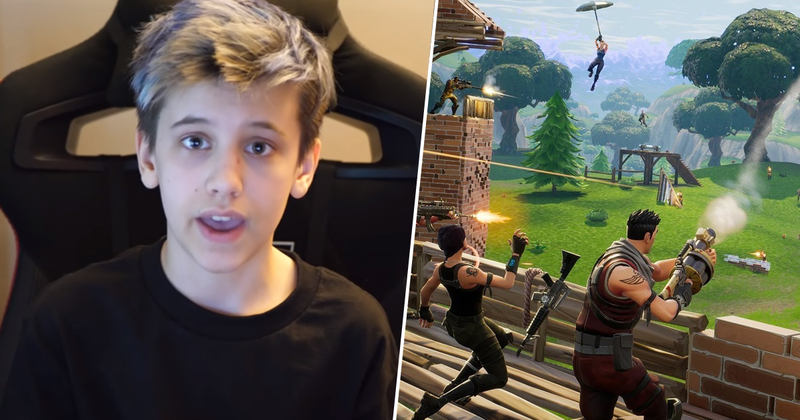 If you feel like your job is soul crushingly dull and you don’t earn nearly enough for what it is you actually do, prepare to feel worse as a 14 year old from Long Island has been talking about how he’s made $200,000 so far playing Fortnite. Griffin Spikoski (AKA Sceptic) really blew up about nine months ago, after he posted a video of himself taking out another well known Fortnite streamer called Tfue. That video, which you can see below, has amassed a whopping 7.5 million views. Since then, Spikoski’s channel has been a pretty big hit, with over 1 million subs and regular videos that rack up hundreds of thousands of views in a matter of days. He also has a Twitch channel where he regularly streams the popular battle royale. WABC-TV reports that he now spends roughly eight hours a day playing Fortnite, in between taking online high school courses. On the weekends, he can play as much as 18 hours a day, but he confesses that might be a little too much. To be fair to him, he acknowledged to WABC-TV that it’s pretty much his job, so it makes sense to put a good shift in. I’d rather spend eight hours a day playing a video game than sat in an office, to be honest – though like any job, I guess it could get pretty tiring eventually. As is often the way for successful streamers, the majority of Spikoski’s earnings come from YouTube ads, sponsorship deals, and donations from fans. He even has a financial advisor and a company which his parents helped him set up so that he can make the best possible go of this dream venture. I want parents to know that, you know, if their kids do enjoy playing games and they have a passion for it and they’re really good at it, they should treat it as any other sport. Griffin clearly has a good head on his shoulders in addition to being an excellent Fortnite player and watchable YouTube personality. He revealed he intends to save most of the money he makes so that he can get into a good college, or maybe even get himself a house one day. While I’m obviously insanely jealous I didn’t have this life at 14, I have to wish Griffin luck. With such supportive parents and natural talent, I imagine he’ll be going far.